Summer is going strong! Is your beauty routine holding up? Are you keeping safe in the sun and the elements? Summer beauty doesn’t have to be complicated. A few great hair, skin and sun care products can really help get you through this hot season. UNITE Hair Expanda Dust ($26.25) — It’s magic! With just a puff you can get more volume and texture than you’ve ever imagined! You’ll never go flat again! FOR BEST RESULTS: Lightly sprinkle on to roots for volume. Sprinkle throughout for added texture. For a sleek ponytail, apply to roots to give your pony some volume. Next, sweep hair into a ponytail using a paddle brush to smooth the sides and leaving the top voluminous. Finish by securing with a ponytail holder. What I think: This works well with my flat hair. And the ponytail tip above is really cute! Purchase at shop.unitehair.com. 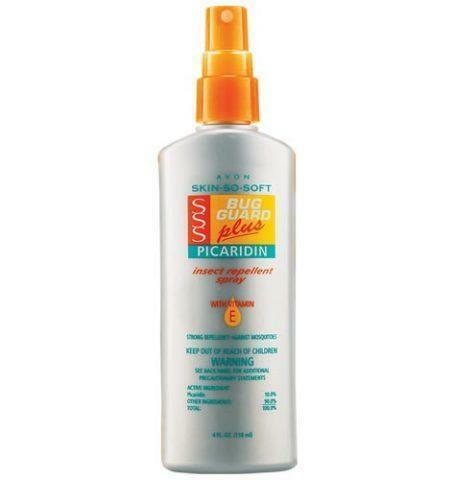 SKIN SO SOFT Bug Guard Plus Picaridin ($14-$16): Protect your family when mosquitoes are more active – dawn and dusk – with this strong, dependable insect repellent. These DEET-free formulas provide long-lasting protection against deer ticks and mosquitoes. Repels deer ticks that may transmit Lyme Disease. Repels mosquitoes that may transmit West Nile Virus. Bug Guard Plus Picaridin is available as an Aerosol Spray, Pump Spray, or Towelettes, and just like our other favorite formula, the pump spray will come in bonus and travel sizes and the towelettes will now be available in a 16 pack. What I think: I keep the pump spray of this by my back door so when my family goes into our buggy back yard, we are protected. It works really well and smells nice, too! 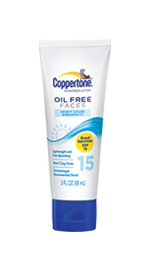 Coppertone Oil Free Faces in SPF 15, 30 and 50+ ($10.99 USD) Provides powerful protection designed specifically for your delicate skin. This oil-free lotion contains a special blend of anti-oxidants Vitamins A and E, skin conditioners and natural hydrating elements to help smooth and moisturize your skin. This lightweight lotion is non-greasy and it won’t clog pores or cause breakouts. And it’s fragrance free and non-irritating. And, because it’s from the Coppertone brand you can be sure you’re getting all the protection you need. Specially formulated with Parsol® 1789, Coppertone® Oil Free Faces Hydrating Sunscreen Lotion helps prevent the premature appearance of fine lines and wrinkles by providing advanced broad-spectrum protection form the sun’s harmful UVA/UVB rays. Dermatologist tested. Hypoallergenic, non-comedogenic, water resistant. Sun Alert: The sun causes skin damage. Over the years, regular use of effective sunscreens like Coppertone® Oil Free Faces Hydrating Sunscreen SPF 30 may reduce the risk of skin damage, some types of skin cancer and other harmful effects due to the sun. What I think: I try to use sunscreen on my face every day. The fact that this is oil free is perfect for me because sunscreen can easily clog my pores. I also love the anti-oxidants and skin care benefits that you can get with such and affordable product. 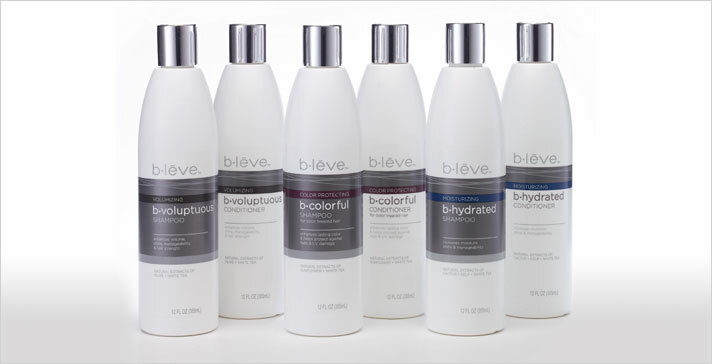 From the b-leve website: We b•lēve ingredients like olive, white tea & cactus let you shine in everything you do. Cationic chemistry specifically targets damaged areas along the hair shaft and at the ends without the use of high levels of silicone. I tested the b-hydrated Shampoo and Conditioner. Increases moisture, shine & manageability. Natural extracts of cactus + kelp + white tea. Why b•lēve? b-hydrated shampoo and conditioner has a rich and fortified formulation that contains natural extracts of cactus, kelp and white tea. Cationic chemistry, the leading technology in performance hair care, specifically targets damaged areas along the hair shaft and at the ends. This advanced precision formula does not require the use of high levels of silicone. Contains cactus extract – for moisturizing damage repair. Contains kelp extract – for shine and manageability. Contains white tea extract – for gloss, strength & long lasting shine. Paraben-free. Antioxidant & vitamin rich. No animal testing. Made in Canada. What I think: I love the scent of these products. Mostly, though, I love how soft and shiny they leave my hair after use. Available at www.b-leve.com and fine grocers nationwide. 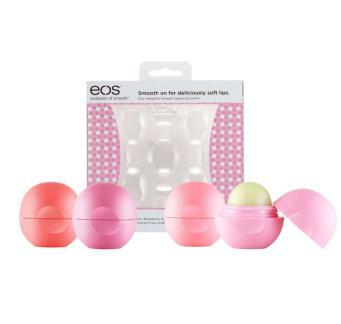 eos’ new Basket of Fruit Smooth Sphere Lip Balm Pack ($10.99 USD) — The Lip balm that is good enough to eat is now in this basket of four! The eos new fruit inspired lip balm collection features: Limited Edition Fresh Watermelon and our ever popular Strawberry Sorbet, Summer Fruit and Pomegranate Raspberry Smooth Sphere Lip Balms. This colorful collection is the perfection addition to your fall essentials. The soft-touch, ergonomic, recyclable packaging is easy to find in even the largest of bags! What I think: I have loved eos lip balms since they came out! This pack is affordable and the flavors are yummy! I split the pack with my daughters. Every one had a favorite. Mine is Pomegranate Raspberry! Available at Target, Drugstore.com, and evolutionofsmooth.com.